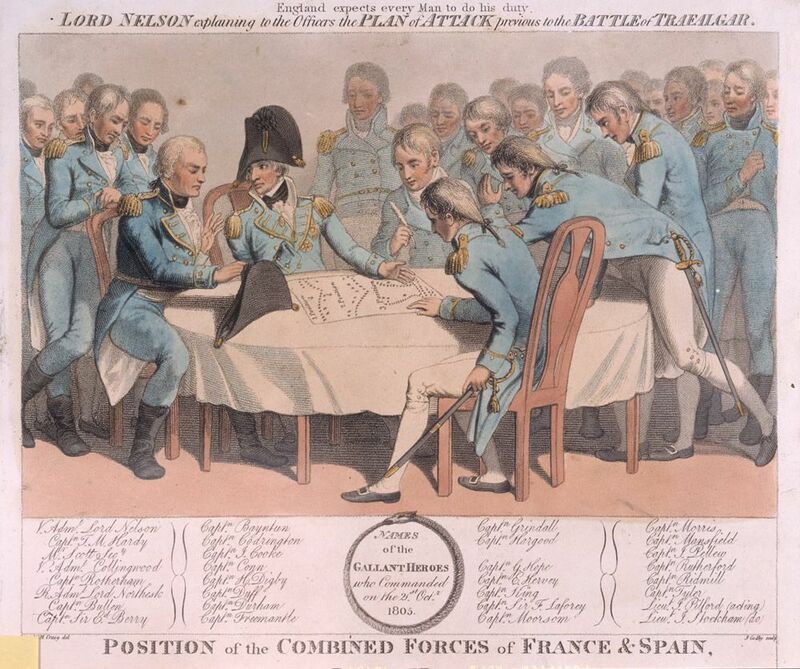 Colour engraving of Lord Nelson seated at a table explaining his tactics for the Battle of Trafalgar to his captains. Below is a list of all the officers present. Lower half of the print shows the positions of the combined French and Spanish fleets at the beginning of the battle. This Position of the Combined Forces of France and Spain Art Print is created using state of the art, industry leading Digital printers. The result - a stunning reproduction at an affordable price.